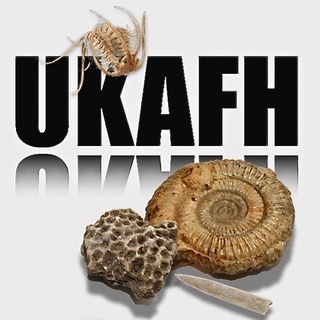 On Sunday 9th April, UKAFH met in Norfolk for a fossil hunt along the coastline of Overstrand, a village a few miles south-east of the popular holiday destination of Cromer. We began with a show and tell presented by UKAFH leaders Sam Caethoven and Aidan Philpott, discussing the local geology and providing an example of what could be found. Overstrand and the surrounding coastline is somewhat unique in its geology, providing a glimpse into three very distinct periods of time. Firstly, there is the chalk. Maastrichtian in age, this chalk is some of the youngest exposed in the UK at around 70 million years old. The chalk sediment formed in a relatively deep, warm sea which would have been close to the Mediterranean in latitude at the time. Life was abundant in the sea, not least in the profusion of coccolithophores – who’s calcareous plates formed the striking white sediment – but also in echinoids, belemnites, corals and sponges whose fossils we came to find today. Also present at Overstrand is the Wroxham Crag formation and Cromer forest bed. These deposits are a lot younger than the chalk; in fact they formed 600-500 thousand years ago during an interglacial stage when Norfolk was a vast river basin and flood plain frequented by giant mammals such as the famous Runton elephant (steppe mammoth), rhinoceros, bison and deer as well as small mammals, amphibians, fish and a plethora of freshwater bivalves – remains of which can all be found, washed out from these sandy sediments. The third geological feature here is from the last glacial stage, about 100 thousand years ago. The glacial stage has deposited thick areas of till and glacial clays but the most apparent action of the glaciation is how the underlying sediments of cretaceous chalk and interglacial crag have been affected. A process called glacial thrusting has lifted the chalk horizontally, so much so that at times the chalk appears above the younger sediments in the cliff, some strata appear unexpectedly horizontal and glacial lakes and channels cut through the underlying sediments, filled with till and glacial clay. The overwhelming force of glaciation is very apparent at Overstrand. Fortunately for us, the ice has long receded and we were able to enjoy the warm spring sunshine of the current interglacial stage as we headed down on to the beach. Fossil hunting conditions here have not been the best of late; several feet of sand have covered the foreshore for some time. Beneath this sand lays the Maastrichtian chalk from which many of our finds are to come from, however the chalk is currently only exposed on the foreshore at low tide as sparsely dispersed pockets. Despite these unfavourable conditions, UKAFH fossil hunters quickly began finding great fossils derived from both the chalk and crag deposits. Among the shingle built up along the coastal groynes and beyond, UKAFH members found many echinoids preserved in flint – mostly of the genus Echinocorys – as well as belemnites and no end of sponge fragments. I was particularly surprised by the number of mammal bone fragments that were found, washed out from the Wroxham Crag and Cromer forest bed. One find that I found exciting was a small fish vertebra in dark Cromer Forest bed sediment found by Clare Ashworth. As the tide retreated we moved from the shingle towards the pockets of chalk exposed further on the foreshore. Here we could see a vast diversity of fauna preserved in situ: echinoids, brachiopods, corals and Ventriculites sponges with beautifully preserved detail. A nice bit of Ventriculites sponge in chalk. Unfortunately, as the chalk was exposed close to low tide, it wasn’t long before the sea turned and we were pushed back from the exposures, however we headed home very much satiated. Although the beach was in unfavourable condition, the hunt was unexpectedly productive with unexpectedly fine spring weather. With fascinating geology and many superb finds, the group proved that even six feet of sand can’t stop our eagle-eyed intrigue. A pocket of chalk exposed on foreshore. Fossil wood in glacial lake clay. Thank you to everyone who came and made the day a great success! – Please remember, the cliffs exposed at Overstrand are protected and should not be dug into. Fossils can easily be collected along the foreshore. This entry was posted in Reports and tagged echinoid, fossils, norfolk, overstrand.